Smoothie bowls might be an Instagram fave, but there's nothing like a classic, comforting bowl of oatmeal. This version uses gluten-free oats and the recipe has a double dose of oaty flavor, courtesy of oat milk. 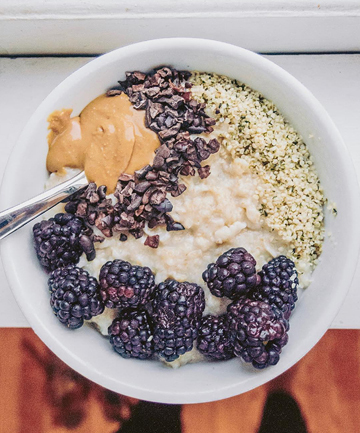 Natural peanut butter, cacao nibs, blackberries and hemp seeds add great contrasting textures.